In response to the devastating tragedies related to gun violence in Toronto this past year, 45 shooting deaths and a 32 per cent spike since 2017, Scadding Court Community Centre launched the #TO Cares Challenge – a platform for Torontonians to share their feelings on how to reclaim Toronto and the peaceful city through the arts. Scadding Court Community Centre and OCADU are hosting the first ever #TO Cares Challenge Art Awards and Exhibit to honour all submissions and gun violence experts, community leaders, academics and victims of gun violence will also discuss the importance of community-led approaches to reducing gun violence as well as using art as a form of healing, standing together to speak out against violence. When: Saturday, October 27, 2018. Doors: 3pm/Speakers and Awards: 4pm-5pm/Close: 6pm. All fourth year undergraduate students are invited to apply to the Fourth Year Awards & Medals Program! Deadline: Monday, March 19, 2018, 11:59 p.m.
"The Naloxone Storage Unit": A first aid response kit for Naloxone storage that helps restaurants and bars to assist trained and untrained bystanders such as bar staff and guests with providing first aid for Opioid overdose emergencies. NOW magazine article by Samatha Edwards (January 21st 2018): What if life-saving naloxone kits were accessible in public spaces? 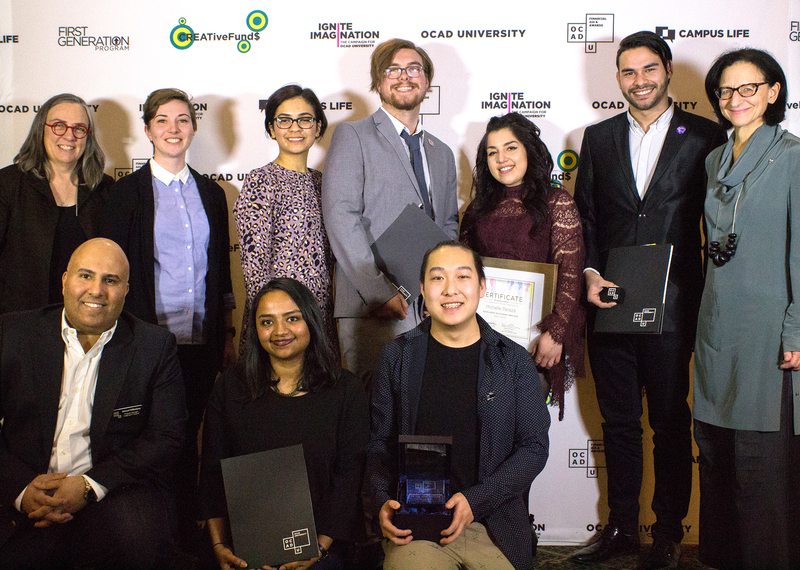 OCAD University design students have created a series of prototypes that would allow untrained bystanders to respond to an overdose & Graduate Design for Health student work for a “ how-to–guide” for a Pop-up safe injection site using Toronto’s Moss Park as case study. A stool for instructors in a school with mental and physical challenges, to support diverse tasks and postures and provide storage. It allows them to move freely and smoothly without tipping and has a feature to rest their iPad behind the backrest to ease communication. The sides of the stool also serve as a drum to promote play and rhythm. Furniture 2 class spring 2017 with project client as Umbra.